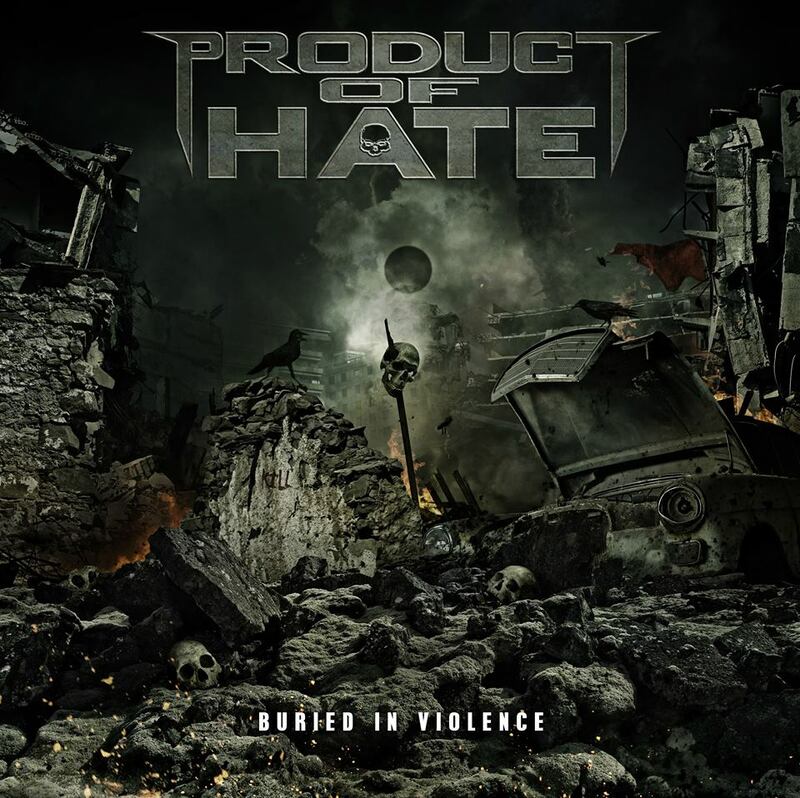 Product Of Hate released their debut EP back in 2010 titling it "The Unholy Manipulator" then years later, went on to release their debut full-length album "Buried In Violence". Band mates Adam Gilley (vocals), Mark Campbell (bass), and Mike McGuire (drums) discusses these releases as well as further plans that are in the works for this year! 1. Introduce yourself, telling me what role it is your have in the band? 2. You released your debut EP "The Unholy Manipulator" in 2010, now 6 years later you have released your debut LP "Buried In Violence". Where has the time gone between these two releases? 3. Why did you think that titling this release "Buried In Violence" was the right thing to do? Adam: To me, the name is very ear-catching. It's also the title of a song on the record. 4. Can you explain what's happening within the album's artwork? Mark: We had Colin Marks of Rain Song Design in the UK take the idea and run with it. We gave him the lyrics - not even the music, and he just captured it. Mike: When you hear the title and see the artwork, it all goes together. 5. Does your EP and the LP have a connection in any shape or form? Mike: Absolutely! Two of the songs from the EP, "Unholy Manipulator" and "Blood Coated Concrete" were favorites of our label, and they asked for those to be remixed to match our new stuff, so they included them on the record. They also re-issued our music videos for those. Adam: Aside from the songs, there's no thematic connection for me. 6. Napalm Records is where you call home, so how does it feel to have your debut LP with them, let alone being a part of their family? Mike: It feels great. We're excited to be a part of their huge roster. Adam: There's quite a few bands on the label that we're fans of. Being on the roster with bands like Alestorm, DevilDriver and Otep is really cool. 7. How has the band’s sound evolved from EP "The Unholy Manipulator" to your LP "Buried In Violence"? Adam: We're getting tighter, and have grown as a band. Mark: We've started to know what works and what doesn't. Mike: The writing process is more fluid and efficient. 8. Would you say that your songwriting and recording process was any different than usual for this release? Adam: No, we're just doing what we do! 9. What are your expectations for "Buried In Violence"? Mark: It's up to the listeners and audiences to decide what happens next. Now that the album is getting out there, we'll see what the reaction is. Adam: To reach as many new ears as possible, and get people hooked for album number two! 10. What else can we expect from Product of Hate for this year? Mike: We just shot three new music videos. "Monster" is out already, we pushed that one out quick because the song is on SiriusXM Liquid Metal. Then we have "Kill. You. Now" and "Revolution of Destruction" coming out down the line. Adam: Touring! Life on the road will be the way of things for the forseeable future. 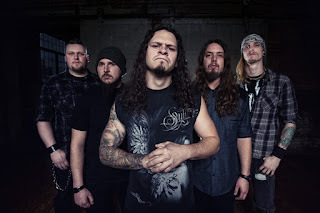 We've only done one North American Tour so far, and that was with Allegaeon and The Agonist. We can't wait to do more! Star Darlings Releases New Video for "Up"
Monster High Releases New Song "Face the Tide"
Victor Love Announces Debut Album "Technomancy"
The Word Alive Releases Video for "Sellout"
Ghost Town Releases Video for "Mean Kids"
Otep Unleashes New Song "Lords Of Wars"
BAND-MAID Releases Video for "alone"
Walls Of Jericho Releases New Song "Relentless"
Obsidian Releases Video for "Bite The Bullet"
Blaqk Audio Releases New Song "Anointed"